THREE players have accepted their sanctions in the inaugural sitting of the Match Review Panel for the NAB AFL Women's competition. Gun Fremantle defender Ebony Antonio accepted a one-match ban with an early guilty plea for engaging in rough conduct against the Western Bulldogs' Jess Gardner in the last quarter on Saturday. The MRP graded Antonio's hit as careless conduct with medium impact to the head. Bulldogs midfielder Kirsty Lamb has accepted a one-game suspension after pleading guilty to engaging in rough conduct against Akec Makur Chuot in the second term. The incident was assessed as careless conduct with medium contact to the head. Chuot finished the match on the bench after suffering concussion. 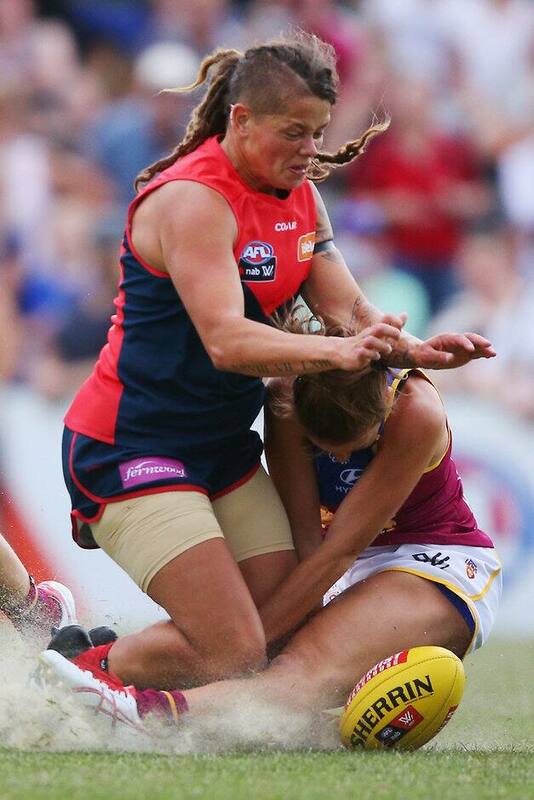 Melbourne's Richelle Cranston was charged with front-on contact on Brisbane Lion Jamie Stanton in the first quarter on Sunday. She has her charge of one match on the sidelines after her clash was graded as careless conduct with medium impact to the head.